Isododecane, Dextrin Palmitate, Polymethylsilsesquioxane, Synthetic Fluorphlogopite, Trimethylsiloxysilicate, Ethylhexyl Palmitate, Dimethicone, Phenoxyethanol, Disodium Stearoyl Glutamate, Aluminum Hydroxide, Silica. [+/: CI 19140 (Yellow 5, Yellow 5 Lake), CI 42090 (Blue 1 Lake), CI 77007 (Ultramarines), CI 77163 (Bismuth Oxychloride), CI 77288 (Chromium Oxide Greens), CI 77289 (Chromium Hydroxide Green), CI 77491, CI 77492, CI 77499 (Iron Oxides), CI 77510 (Ferric Ferrocyanide, Ferric Ammonium Ferrocyanide), CI 77742 (Manganese Violet), CI 77891 (Titanium Dioxide)]. An innovative, waterproof, lash-hugging gel eyeliner pen. It’s the first ever lash-hugging gel eyeliner in a pen! This matte gel formula won’t smudge, budge or dry out, and the innovative soft AccuFlex Tip hugs your lashline from corner to corner. The closer the line, the bigger the eye! For first-time use: To prepare the pen, remove the AccuFlex tip protector & discard. Twist base until gel appears on the tip. Wipe off excess. For daily use: Wipe leftover gel off AccuFlex tip before each use to get fresh liner every time. Slowly twist base until a tiny amount of gel appears on the tip. Rest the tip on the base of your lashes and guide along your lashline from either the inner or outer corner. The angled AccuFlex tip works both ways. 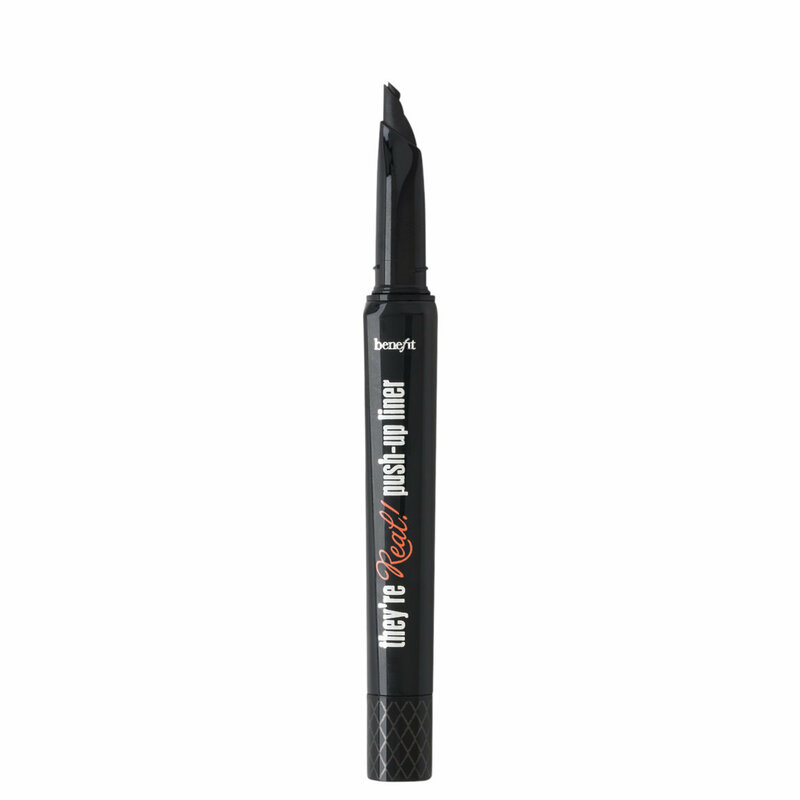 Benefit has revolutionized the world of gel eyeliner! The concept of this product is amazing. The accuflex tip makes it super easy to get close to your lash line, and the shape of the pen is made to help push your lashes out of the way to create an even easier application. The only thing I recommend when using this product is practice, practice, practice! When I first used this product, I made a mess of myself! You do not need a lot of product! A little goes a long way with this! I recommend wiping any excess product on the back of your hand before applying to your eye. Remember, you can always go back and add more product, its difficult to erase mistakes with this liner! Once it dries, it stays put! It doesn't come off with any old makeup remover. Benefit also launched aThey're Real makeup remover. However, I have not tried that yet. I find that a MAC Makeup Remover Wipe does the job, however, this is the only makeup remover that has removed this liner for me. All in all, this is a great product, I suggest practicing before applying to a full face of makeup. Everyone has their own technique, its best to get comfortable with this product before going in full force! The formula! An ultra black, long lasting gel. Perfection. It's a dryer formula which is perfect for tight lining the eye. This is one of the longest lasting liners I have ever used, no smudging whatsoever. They make a remover specifically for it .. and for good reason .. It doesn't come off! That being said, almost any good eye makeup remover will do the job. Just don't be shocked when regular old soap and water doesn't so the trick! Now.. The controversial bit.. The applicator!!! They describe this as a gel liner, in a pen, with an acuflex tip. I'm not that fancy.. It's basically your regular angled brush with gel already on it. There's definitely a learning curve but when you get it.. You'll love it! A brand new liner will take 10-15 clicks to get the product going, after that I use about 4 clicks for each eye.. Maybe more if I'm getting dramatic. The tip is super precise for wings and detail work... 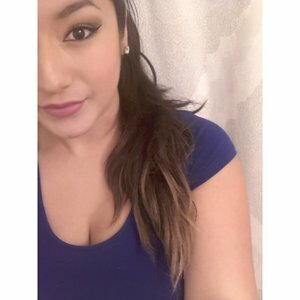 I'm in love you guys!! My advice: don't pass judgement too quickly. Hate it? Put it down for a few days then try again! I promise in time it will be your best friend!! On thing I noticed about it is you are either going to love it, or hate it. My mom for example couldn't get it to work for her to save her life and it just became a giant clump of product on her eye. I on the other had love it. It's so perfectly black, I use less product and the product goes on smooth. The thing that sold me though was how it made both of my wings sharp, and when something can do that for my left eye it's a miracle. I say give it a shot, you can always return something if you hate it. I really like this liner. But I don't like that when I have a lot of eyeshadow on, the eyeshadow gets in the liner and then the product stops coming out. Overall, I like it, but prefer my gel and eyeliner brush. Sadly Benefit has moved in the direction of impractical packaging that makes their products a total nightmare to use. The product itself isn't bad but getting it to apply is a hot mess. Skip this and stick with the Inglot gel liner and a liner brush! I'm a mess at eyeliner and I've found that this is the only product which I can do a cat eye with. very black and doesn't come off easily, but I'm a lazy person so I just wear the smudges the next day as intentional eyeliner maneuvers. The. Only thing I didn't linked is that it doest long that much. And... Not waterproof neither :( so agree with other Comments... It could be better! I'm a huge fan of benefit and was excited for this. at first i made some crooked lines (without even attempting a cat eye, just a line over eyelid). then i tried again. and again. but even after so much practice, i end up having really thick lines trying to even the lines out because it dries too fast and cracks if you go over the line twice. i brought it on holiday thinking that i would use this rather than reaching for gel and eyeliner brush, but id still rather fuss over cleaning the eyeliner brush instead of use this product. However , i still give it three stars because the concept is good. The concept of this product is awesome! I love gel/cream eyeliner and the idea of having it in a pen form so that you dont need a brush is great. It just took awhile to get used to it. The first few tries with it was really difficult because the product wouldnt glide on so easily and it was hard just determining how much to twist it. But the more practice with it the easier it gets.